Diameter 82mm. Depth 150mm. Cut-out 70mm. 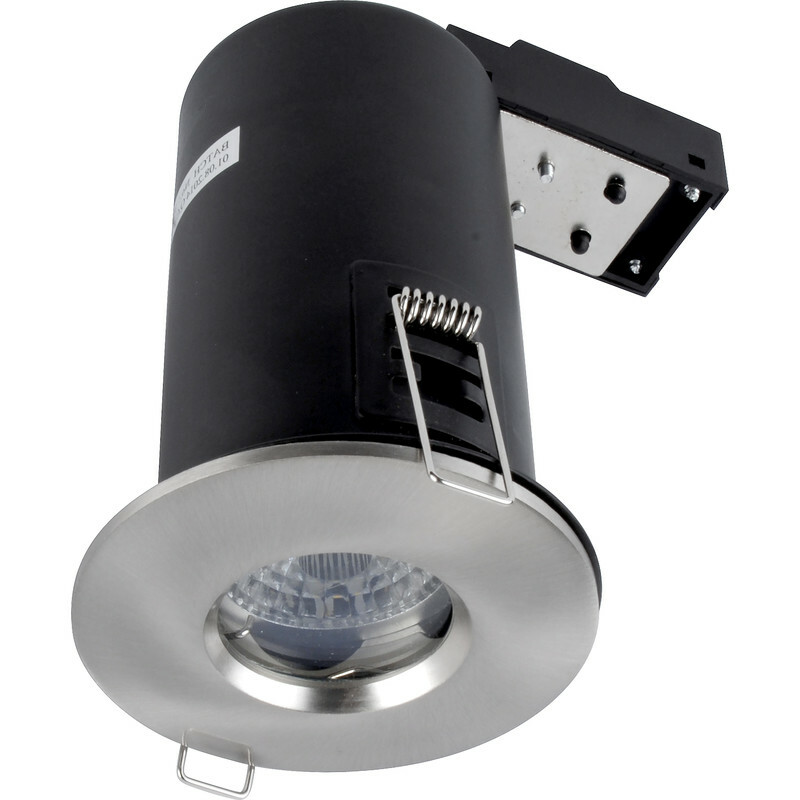 LED 9W Fire Rated Dimmable IP65 GU10 Downlight Satin Chrome 650lm is rated 4.7 out of 5 by 3.